I recently had the pleasure of staying in my first Sofitel (the Sofitel Melbourne, and very nice too) and figured I’d share my strategy for maximising benefits and points for any stays with Accor in future. The Sofitel was a 4 night booking for work at around $220 / night for a standard room. I previously (probably a year ago or so) had signed up for Accor Platinum status by using one of the many links floating around the web. At any given moment there seems to be some kind of LeClub partner promotion offering Accor Platinum – I haven’t really kept an eye out for them, but will do so and write about it now I understand the benefits a fair bit more. The primary Platinum benefit is double points on all Accor stays. In Sofitel, Pullman and MGallery hotels, there’s the opportunity to also score room upgrades, welcome amenities and late check out. 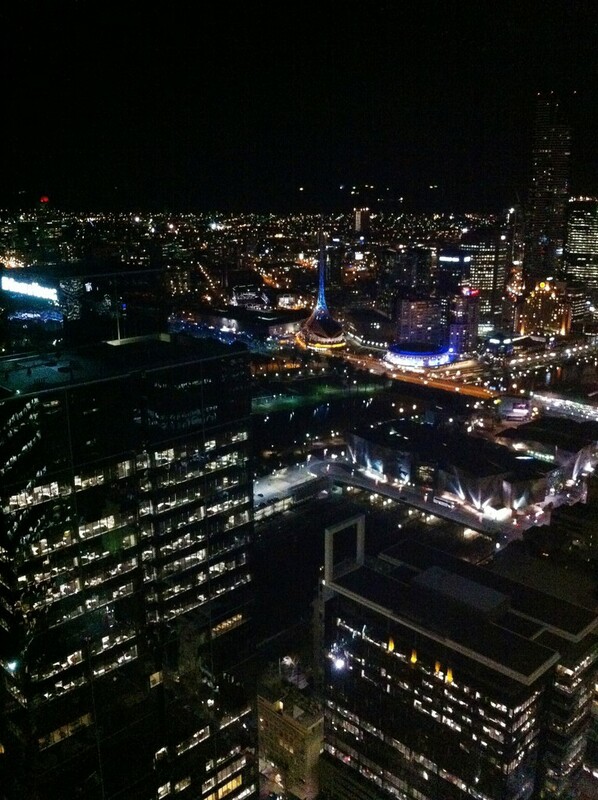 I am staying with you at the Sofitel Melbourne next week from Monday – Wednesday night, checking out Thursday. Apologies, I don’t have my reservation number to hand. Please can you update my reservation with my LeClub membership number – 00000000000000. I hold LeClub Platinum, and would love to request the usual room upgrade / welcome gift that comes with Platinum status. I have added your Platinum LeClub membership number to your booking. We appreciate your continued loyalty and your requests have been noted for your stay with us. We look forward to welcoming you on Monday. If I may be of any further assistance, please do not hesitate to ask. This seemed to help – on arrival I was welcomed by the front desk, with an upgrade to a corner Junior Suite confirmed, a drink voucher for the bar and fruit and chocolates in the room. Now, for the points – there are a couple of ways to deal with Accor points. The first option is to accrue them into your LeClub account and work out what you want to do with them later. LeClub allows transfers over to airline programs at mostly not-so-hot rates, and with a minimum transfer amount of 4000 LeClub points, mostly equaling 2000 airlines miles. Full details of the transfer partners are here. Leaving the points in your account also means you could use them for Accor redemptions too. Alternatively, you can set up auto-transfer of any points earned into your LeClub account to your airline partner of choice – but only if you have credited some points from an Accor stay into your account previously. This is useful, because the 4000 point minimum transfer doesn’t apply, and the points just head straight on over to where you want them. I probably won’t get a chance to stay in Accor properties often enough to earn enough points for a redemption, or earn the 4000 point minimum often enough to transfer over – so I went for the auto transfer option. This is where it gets more interesting – while most LeClub airline partners transfer at 2 LeClub points : 1 airline mile, (with Qantas at 1:1, helpfully), there’s an outstanding ratio specifically for Iberia Plus Avios – 2 LeClub : 5 Avios. This is just a bit bizarre – British Airways Avios transfer at 2:1, and you can transfer Iberia Avios to BA Avios quite easily by linking accounts at avios.com. 4,500 are all that’s needed for a short domestic economy hop in Australia, e.g. Sydney – Melbourne, so my stay at the Sofitel netted me a pretty decent haul – I value Avios around 2c / point so ~$120 return. As I said, I’ll let you know about any Platinum sign up offers I can find, and post a brief review of the Sofitel soon too. Keith, I just checked the Iberia Plus site and it seems you can search award availability for oneworld carriers (when you click ‘Flying with Avios’ it opens the page with the tab for ‘Fly with Iberia,’ so all you need to select is the ‘Fly with oneworld’ tab). However, the redemption rates for QF are fairly poor, being 19,500 Avios for up to 650 miles (eg. SYD to MEL) or 24,000 for 1000 miles (SYD to MEL return). Booking using Avios under a BA account would be the better approach. Thanks, clearly I completely missed that! Shocking redemption rate compared to BA. The Iberia > Avios.com > BA transfer dance is annoying, but well worth it. Thanks nice tip on the iberia option Keith. If you we’re after a QF redemption, can you book on the Iberia site instead of making the transfer to BA? What’s the downside to doing that, given the fact that BA exec club doesn’t allow an AUS address? Had a quick look on the Iberia site – looks like there’s no options for online booking for Australian destinations, unfortunately – Spain, Europe, the US and Africa / Middle East are listed only; as per Iberia’s route network. Of course, I’m sure you could redeem over the phone but this could be a real pain, and I haven’t looked into the award chart in comparison to BA, but I’d assume it’s the same number of Avios. I have read that redemptions on IB routes through IB are not subject to taxes though, unlike via BA, but I’d imagine we’re more interested in QF options – which don’t seem to be available. I’d try and find a UK or European residential address, sign up with BA and redeem there. Will do, thanks for the follow up info.